I sing songs for a living. I love my job, but even the music business can feel like “work” every now and then. I believe that when the day to day chores of my career start to over shadow my passion for the art, that’s when God sends an angel to rattle my cage and get me fired up again. In this case, an American soldier. 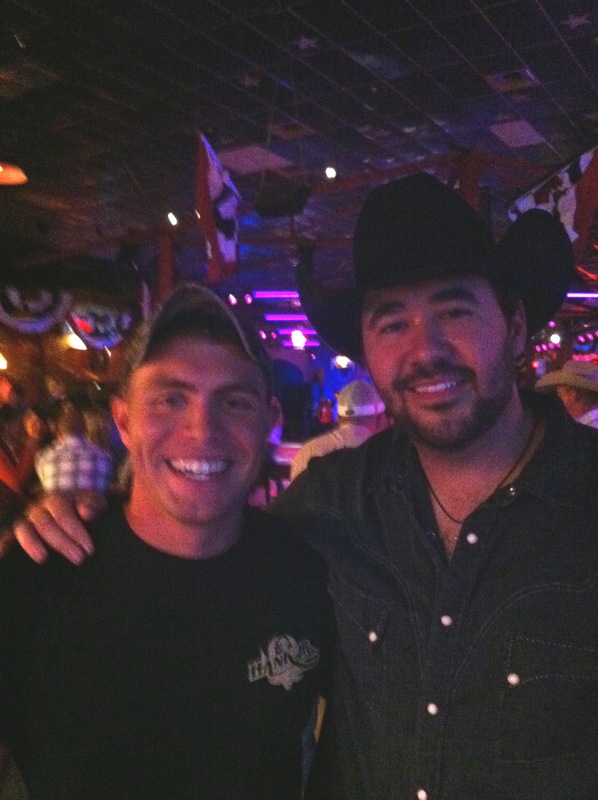 Last Friday night we were playing a show with Kyle Park at Midnight Rodeo in Austin. We got there at 5pm to load in our gear. The show wasn’t until 9:30, but it takes a little while to set up and we like to get it done with plenty of time to have a good “sit down” dinner and rest before performing, but that didn’t happen this time. Even though we got to the venue super early, the sound company was having technical issues and we didn’t get sound check finished until 8:30. Needless to say, I was hungry, tired and just not too happy about the situation. With only an hour before show time, the band and I hit up Chick-Fil-A, then rushed back to the venue for a quick prayer, then took the stage. After the show, I made my way to the merch table to shake hands and sign autographs. As I was walking up, I noticed a young man wearing a camo cap was already waiting for me. He introduced himself and proceeded to tell me that he just got home from a two year deployment in Iraq. I thanked him for his service and before I could finish my sentence, the soldier said, “No sir, thank you. Thank you for helping me get through it all. I listened to “If Love Was A Road” every night while I was there and it kept me going.” He continued to tell me how Texas music played such a big roll in the lives of the men and women stationed overseas. It was as if a bucket of ice water had just been dumped over my head. I was instantly awakened by the young man’s story and was reminded of why I do what I do. That meeting set my heart straight and renewed my passion for the music. I’m very thankful for the conversation that we had at the merch table that night, but I’m even more thankful for the service of that young man, and that the good Lord brought him home safely. There are some things in life worth doing even though you really don’t feel up to it, but you know that you’ll regret it later if you didn’t. This is my story. The band and I had been on the road for a few days and were pretty weary. After two shows and several media appearances over the course of 36 hours, I was wiped out. We pulled into Sweetwater, TX and stop at the first motel we could find to try to get some rest for the night. Soon after I settled into my yellow sheets, I got the call that would change my plans and put my beauty sleep on hold. 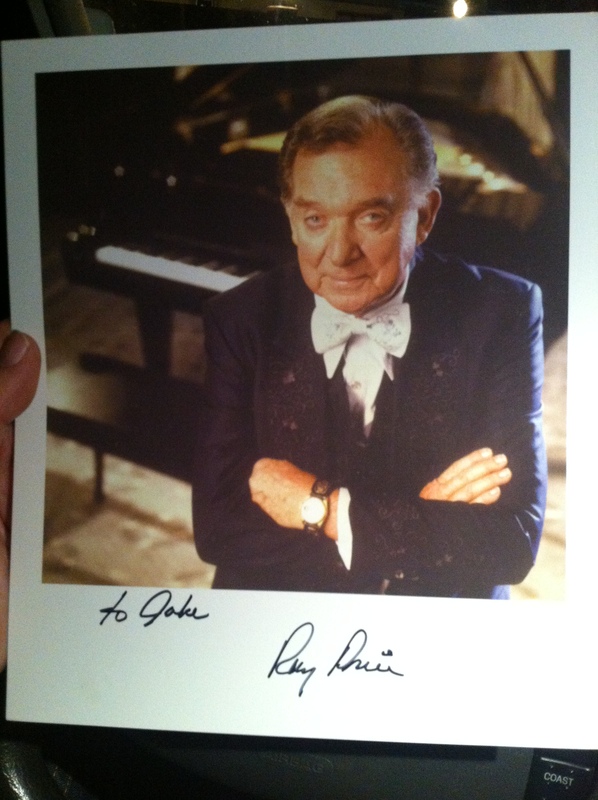 Country music legend Ray Price was playing just a couple of miles down from my motel. I was offered a free ticket to the show and a meal. I hung up the phone and spent a few minutes trying to talk myself out of going out. I told myself.. Myself replied with..”Take a shower and get dressed dummy. Show starts in an hour!”. This picture will hang on the wall next to Willie!